A discount coupon campaign is an affordable and effective way to get a boost in sales and build customer loyalty. Our system makes it easy for you to create coupons and manage your campaign online. Our website and mobile application allows customers to redeem your coupons and deals instantly. They'll have your info on their computers and cellphones. Our GPS system gives them driving directions straight to your door-- to spend money with you. 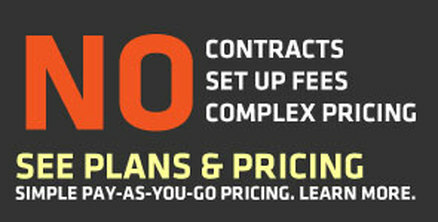 Our easy to use system makes it a snap to change your deals at will giving customers more reasons to keep coming back. Your customers will show your coupon on their cellphones. People who come to The Reggae 411 are looking for the savings you are offering. Get a quick needed boost in sales with this instant coupon campaign. If requested, each restaurant can ask for exported information on how many users have redeems coupons or tickets from vendor. 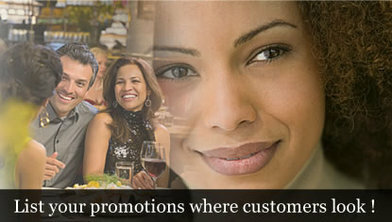 You set your promotion, design it and tell our system how many prints you want. You can change your campaign anytime. Our tools are available to you 24/7.